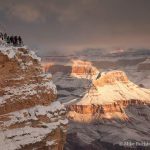 True to form, a welcome winter storm is bearing down on Grand Canyon National Park, bringing with it much needed rain, sleet, and snow. For the past few years March has commenced with a similarly dramatic weather event. What local merchants lose in revenue due to the lighter crowds is a small price to pay for the replenished trees, plants, springs, and seeps. 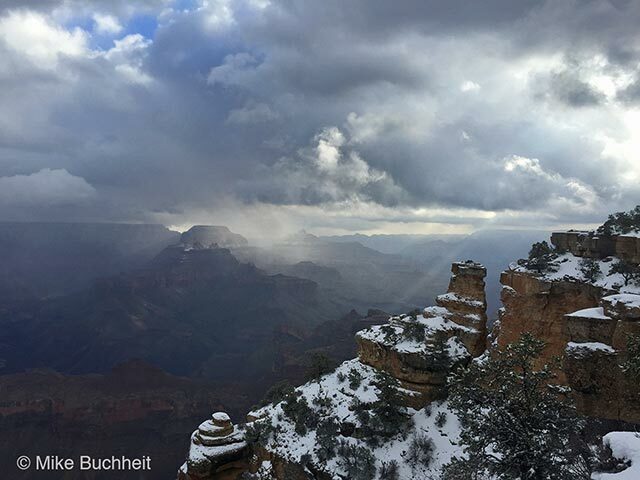 Here’s a photograph of the Grand Canyon from Yaki Point as the clouds began to roll in.